Because life's too short for lame food and drink. One of the cool things about traveling around this country of ours is trying those quirky local culinary traditions that help give each region or town its own sense of place. The things you can order that go beyond the homogenized anywhere and everywhere fast food menu boards that litter our American landscape. Unfortunately, some of these local specialties stay local for a reason. They just aren’t that interesting. As much as it pains me to say it, I’d have to put Nu Way’s “loose meat” sandwich in that category. 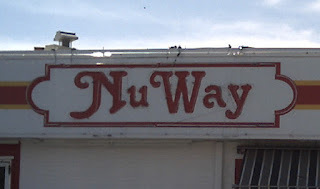 For 82 years now, Nu Way Café has been serving hungry Wichita diners a quirky twist on the traditional burger. 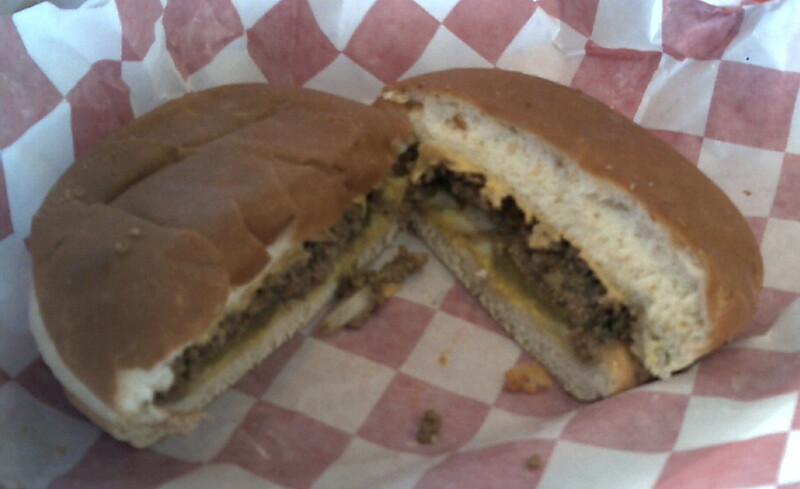 Instead of mashing the ground beef into a patty, Nu Way browns the ground beef crumbled and serves the meat that way on standard buns with mustard, onions and pickles. 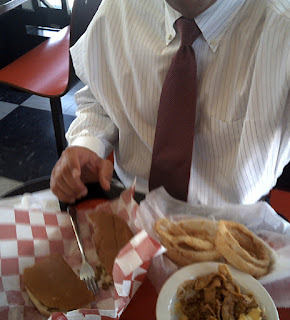 To get the full loose meat experience, you are really discouraged from deviating from that traditional presentation. No lettuce, tomato or ketchup. You don’t want to detract from the subtle flavor of the seasoned meat. I guess I just don’t get it. It’s kind of like eating mom’s Sloppy Joe – if she forgot to add the Manwich sauce. 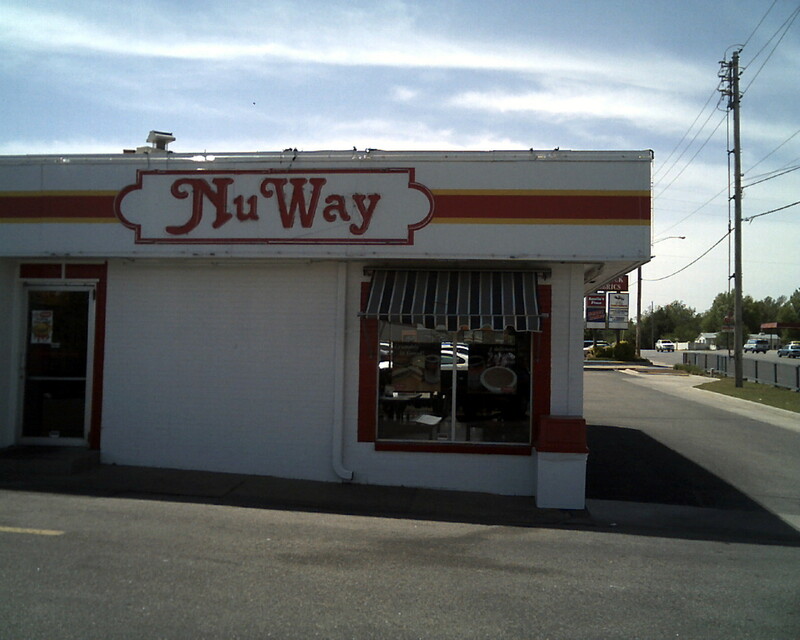 Nu Way’s sandwich just tasted like some browned mustardy, oniony ground beef on a bun. The homemade onion rings left me uninspired too. Crumbly, thin and dry, they didn’t provide much oniony flavor. 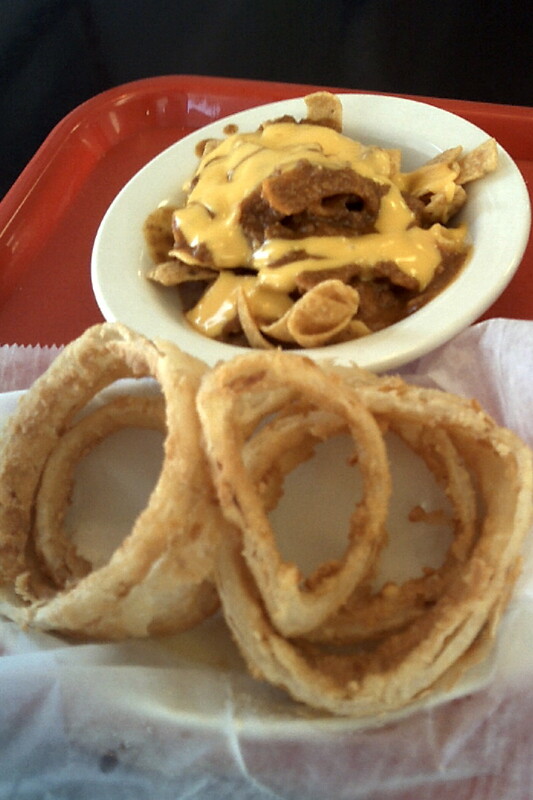 The highlight of my meal was the Frito Pie – another culinary tradition of the Southwest. But then again, how could a bag of Fritos smothered in chili and molten cheese be anything but good? 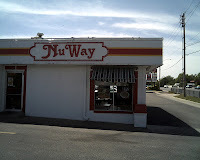 To drink, I ordered another Nu Way staple, their homemade root beer. 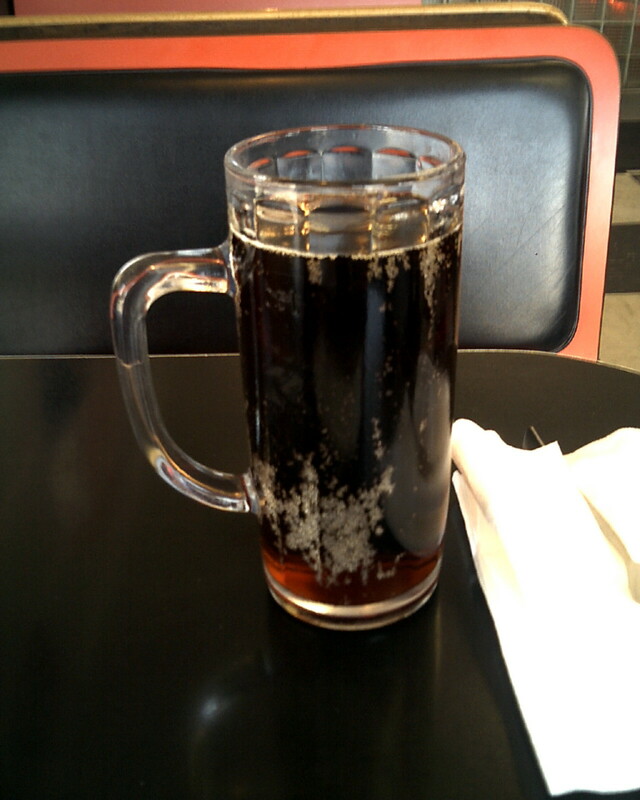 Served on draft in a big mug, this root beer tastes a little creamier than the high fructose corn syrup-laden stuff in the can at your local convenience store. I liked it, but frankly, I’d have preferred a non-root beer. If you know what I mean. Maybe my problem is I have too high expectations for the mild-mannered tastes of friendly Midwesterners. Bland, crumbly ground beef, boring onion rings and homemade root beer might get folks in Wichita all excited, but I’m glad I’m moving on. 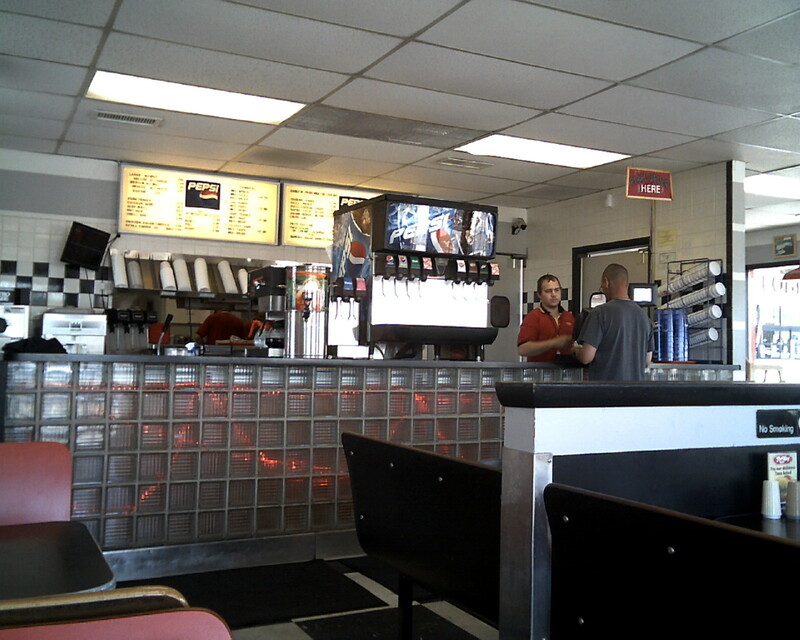 Luckily for Suit757, there’s always a new place and another quirky local culinary specialty to move on to. Rating: Would Wear a Free Shirt. I agree & its overpriced! America’s best restaurants, dive bars, BBQ shacks, burger joints, breweries and ballparks. 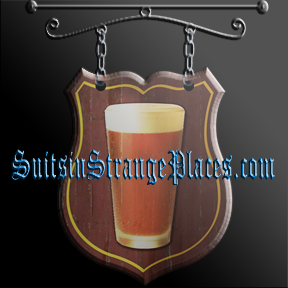 Get New Suits Reviews by Email! Georgia, Kentucky, Michigan, Oklahoma, Texas -- and a town near you! Find Reviews in Your State! Five Stars = Bought the Shirt!